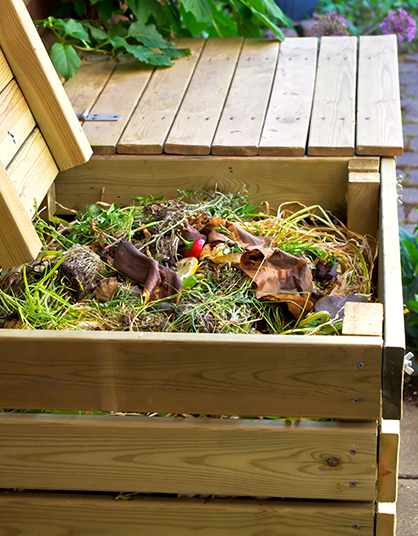 Food scraps and yard work make up an estimated 20-30% of what we throw away (EPA). The CT DEEP says organic materials that can be separated out of your trash should be considered a resource and not a waste. We happen to agree! Composting these items at home is a really easy and economical way to keep waste out of the landfill, taking up space and creating greenhouse gases. Plus, you get nutrient-rich soil at the end to fertilize your garden and lawn. Compost is made up of 'green' and 'brown' materials. Green ingredients are rich in nitrogen and include things like fruit/veggie scraps, coffee ground, grass clippings and livestock manure. Brown ingredients are full of carbon and these include things like eggshells, shredded paper and leaves from the yard. If you'd like to learn more about composting including how to make a bin, visit the DEEP site or EPA site. For upcoming events, Hebron green topics (like the fracking ordinance) or just to keep in touch, sign up for our quarterly eNewsletter to be emailed directly to your inbox! We respect your privacy and only use emails for their intended purpose.